4 Caribbean Islands for Hiking - Caribbean & Co. Some visit the Caribbean to relax and enjoy the beaches. Some want the great nightlife and carnivals. However – there are some travelers who want to experience the Caribbean islands up close and personal. 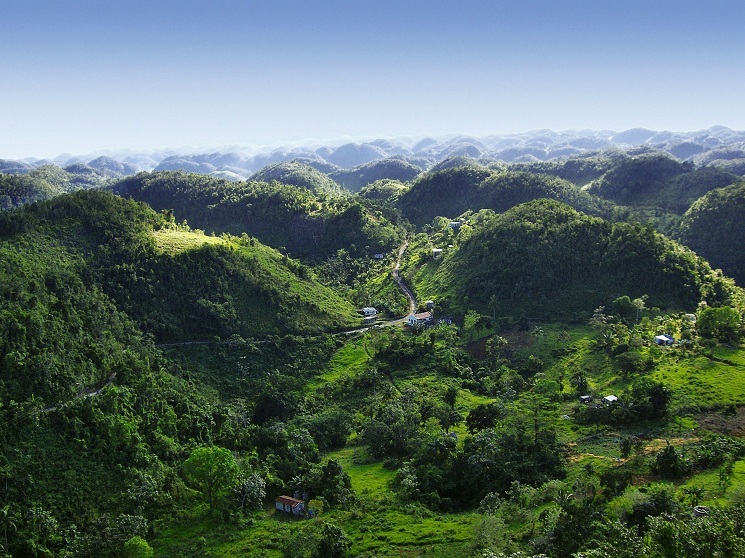 These people want the fresh air, the amazing views, and the excitement of hiking Caribbean trails. Are you one of these visitors? Well, get your boots on and come see for yourself why the Caribbean is a fantastic place to hike. St. John in the US Virgin Islands has a well-known and loved hiking trail, the Reef Bay. But not many visitors know about Ram Head Trail. This medium grade trail is quickly becoming a favorite of many travelers. The trail starts at the southern point of Salt Pond Bay with very rocky terrain. The rocks give way to gorgeous blue pebbles along the beach. Listen to the wind howling through the caverns. Watch as the sea crashes onto the cliffs. Look for sea turtles below. This trail can be completed in about 40 minutes if you rush past all the gorgeous views. Be sure to check out the schedule at the park station. This trail offers amazing full moon hikes that you don’t want to miss. Blue Mountain Peak in Jamaica is the crap-shoot of hikes, but so worth the gamble. If the weather is nice, this hike is full of rewards. The three hour trail to the top is filled with tropical bromeliads, cool, lush forest and flocks of colorful parakeets. From the peak you can see all the way to Cuba on clear days. Breathtaking! However – if the weather suddenly turns nasty, be ready to slog through the trail, avoid lightening and end up in a cloudy mess where visibility is nil. If your bucket list includes ‘hiking up an active volcano,’ then St. Vincent & The Grenadines is your island destination. Take the 4-hour strenuous hike to the top of La Soufriere volcano. The path is well-maintained, but the last 20 minutes of the hike are over rocky terrain. The hike up passes through rainforest, elfin forest and high-country bromeliads. The top of the crater is a magnificent sight to behold, with its own Little Lake. Thinking about the volcano still being ‘active’ and that its last eruption was in 1979 will accelerate your heart rate even higher than the hike. For thrill seekers who enjoy more than ‘just a hike’, there is San Cristobal Canyon in Puerto Rico. Vertical sheer cliffs, rocky riverbed bottoms and spectacular scenery are just part of the hike. Follow the Usabon river. In some spots you will hike through the river’s cold waters. Catch your breath, only to lose it again when you see the Neblina waterfall pouring over the cliff into the pool below. Here hikers can cool off in the crystal clear, clean water as the sprays from above splash all around. There are a total of three waterfalls on the hike. This hike takes about 4 hours but the images will stay with you forever. Top photo: St Vincent & The Grenadines: La Soufriere volcano.